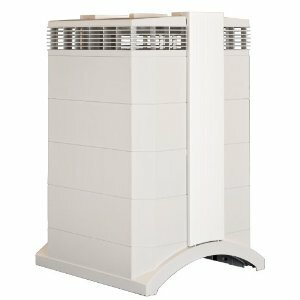 Sandium Heating and Air Blog: My House is Clean, Why Do I Need An Air Purifier? Why should we bother with air purifiers? Most people are good housekeepers and yet we hear and read about how home conditions are in such a poor state. So, just how could it possibly be dirty and when you spend time every day cleaning? Among the many concerns is present-day family homes are such tight specifications that what gets in cannot escape. They may be far more energy-efficient than 2 decades ago but that also raises home air pollution. You're reducing electricity yet you're polluting your own home. Ones strict cleaning routine may make the use of an air purifier more essential. This is because of the housecleaning solutions and chemicals you're using. An air purifier is a piece of equipment which aims to free air from contaminants. The popularity of air purifiers spur from the results from environment researches which state that the air inside houses are dirtier than the air outside homes. Here are a couple other reasons that your house may be polluted without an air purifier. The household pet is certainly a big source of home pollution since pet dander contains allergens. Having an air purifier within the bedrooms that the pets stay is very advantageous. If you allow them in your bedroom run an air purifier frequently and wash your bedding every single day whenever possible. Vacuum a couple of times per week and run your air purifier on high for a few minutes once you get finished with the vacuum cleaner. Forced air furnaces can also be a culprit given that they re-circulate airborne dirt and dust, usually containing allergens from pet dander and other airborne pollutants. Changing the filters of whole home filters early in the year and fall is crucial, and it is better still if you add electrostatic filters to them. Continuous bedroom fresheners are another source of home air-borne pollutants that an air purifier would be able to assist you with removing. Cigarettes is another really common pollutant that also has some severe health risks. Whenever possible people who smoke should go outside. At the very least they should smoke in non key parts of the house. Air purifiers are particularly helpful for people that need to reduce second-hand smoke. Outdoor pollutants that have entered such as industrial discharged particles, gases, and other odor connected to industry. These pollutants have entered and have no way to escape this means you breathe these with every single breath. The type of house air purifiers that you use is dependent upon which kinds of home pollutants you're most concerned about. Different air purifiers work on different types of pollutants. Some tend to be better with getting rid of air borne particles and others are better as absorbing smells, cleaning chemical smell and gases. Several of your top of the range air purifiers will do a equally good job with all types of indoor pollutants. House air purifiers (specifically those with HEPA technologies and activated carbon) can be of great assistance. By putting a top quality unit in your bedrooms and main living areas, your house will be as clean as it looks. It'll also end up being far healthier given that the air purifiers have taken the majority of allergens from the air you're breathing.